Myth 1: In Russia, throwing fern seeds in the air on Midsummer Eve will direct you to a vein of gold or hidden treasure. Myth 2: In Bohemia, it was believed your money would never run out if you hid fern seeds among your holdings. Myth 3: In most of Europe ferns concealed not treasures, but poisonous snakes. Generations of children were warned to keep away from the “Snake Ferns”, which supposedly held such unspeakable creatures no child was brave enough to discover whether the stories were true. They must have been started by a well meaning elder to keep toddlers away from dangerous, boggy areas. Other Notes: Fern fronds were included in flower arrangements to secure protection. Fern sap, if you can find any, is said to confer eternal youth. The seed is carried for invisibility! in the center of its tall green vase. tubes break at the tips, spill BBs into breeze. it spins my mind. I orbit awe. This perennial member of the Royal Fern Family is a native to the Western Hemisphere, it occurs throughout South America, Central America and on through to Minnesota in the north and southern New England in the Northeast. 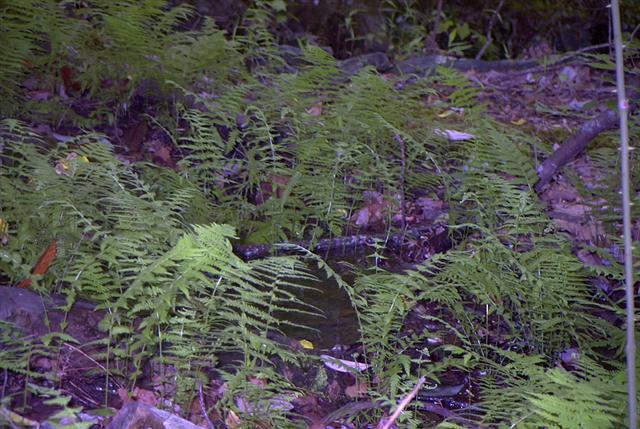 If you are thinking of looking for this fern in the wild search out wet, moist habitats like wet woods, the shore of lakes and rivers and in bogs and swamps. Finding it might be tricky as it is considered Endangered or Vulnerable is some places. 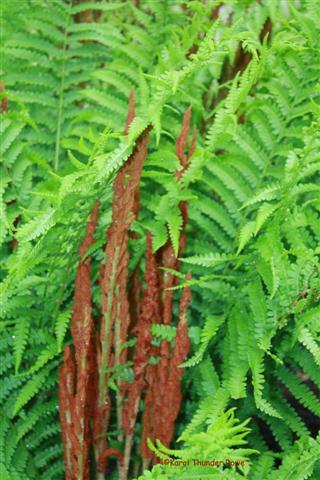 Native Americans used this fern in decoction to treat rheumatism, headaches, chills, colds, and snakebite. The Cherokee used a decoction of the root on warmed hands for treatment of arthritis, as a febrifuge, and the chewed root applied to snakebite. The Cherokee also used the cooked early fronds in spring as a vegetable. The fiddleheads are edible and reportedly taste like a blend of broccoli, asparagus, and artichoke. In Florida it is a “Commercially Exploited Species.’ This means it cannot be removed, for any reason, from the wild without permit. It is available legally through many native plant nurseries. These are not terrestrial plants (growing by rooting in the ground) but rather they are like orchids, they are Epiphytes. They grow in the crook of a branch of a tree. They do not put roots into the host, they are not parasites. 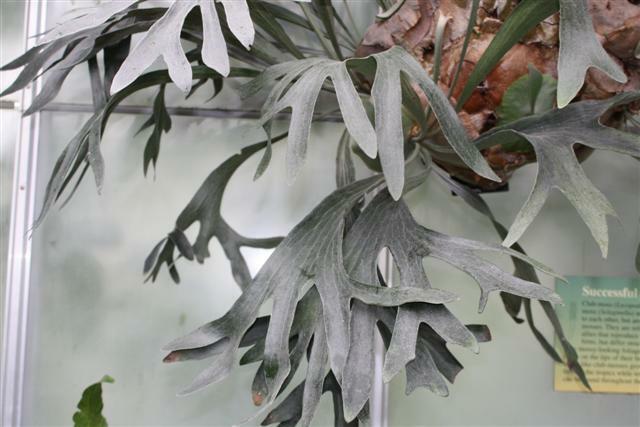 They only live on the other plant, taking nourishment from the dropping, decaying leaves of the host plant. Staghorns are native to jungles in Africa, Madagascar, Australia, Tropical Asia and one species (Andinum) is from South America, Peru and Bolivia. Hey have two types of fronds…green fertile frond (which produce the spores they reproduce from) and brown sterile fronds. They produce no flowers. No reference to this fern being useful for anything could be found! This is just not logical… almost every plant man has found in his environs has been used for something by somebody over the centuries!